ArmsVault Network (AVn) is a public relations and marketing agency that promotes companies within the gun-industry. Our gun-loving, Second Amendment supporting staff is ready to help promote your gun-related company, products, and services. AVn offers marketing solutions for almost any budget. Advertise on our gun websites to connect your company with our audience of gun enthusiasts. Choose from several different websites and take advantage of our advertiser-only perks! Our press release distribution service is a powerful and cost effective tool for sharing your company news with both print & web publications. Great for new product & service announcements! Have your gun-related products featured in our editorial and social media outlets. This is a cost-effective method for creating product awareness, brand trust, and SEO-friendly links to your site. We have worked with ArmsVault for several years. During that time, they have shown an impressive dedication to helping us grow our business. From advertising to designing and implementing our marketing plan, ArmsVault plays an important role in the success of CTK Precision. ArmsVault has been a good entry point to start our digital marketing. I believe their online ads send us quality leads and their Press Release writing and publishing services have been a true time saver for our company. We have been working with Greg Summers for several years now. His team has been super helpful with getting our Press Releases out to the general public for our new product releases. I'm extremely grateful for his professionalism and dedication that he gives to help further our company and brand. Looking forward to many more years of business together! Thank you Greg. In a challenging market your ability to get our press releases out and noticed really had a positive impact on our sales. It was a great way to introduce our new AR technologies. Also, one of the most effective marketing ideas we tried in 2017. We will be in touch for more PRs in 2018. The ArmsVault Network of sites is a great way to market and get your products in front of people. They are a great group of people to work with. The ArmsVaultNetwork has hard working, responsive and dedicated personnel who are always willing to help. They have great content that is constantly being updated and filled with relevant information. The great people at ArmsVaultNetwork clearly support the 2nd Amendment and the businesses related to it. If you’re looking for a great value and great people to work with, look no further than the ArmsVaultNetwork. Great site; Great people. 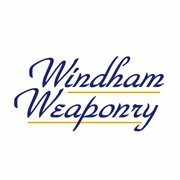 Professional in their dealings with others; and, a friend to gun owners, gun businesses and gun related e-commerce!